ASTI began the EA project by identifying alternatives for the DDA Board. ASTI met with stakeholders to scope the EA — Meetings included Four Towns Action Committee, East Michigan Environmental Action Committee and subdivision residents. Martin Parkway was controversial because it connected to M-5 at Pontiac Trail using a roundabout. Many thought it to be an extension of M-5 in violation of a 1989 Record of Decision. Martin Parkway’s design included two additional traffic-calming roundabouts connecting distribution roads to the Parkway. 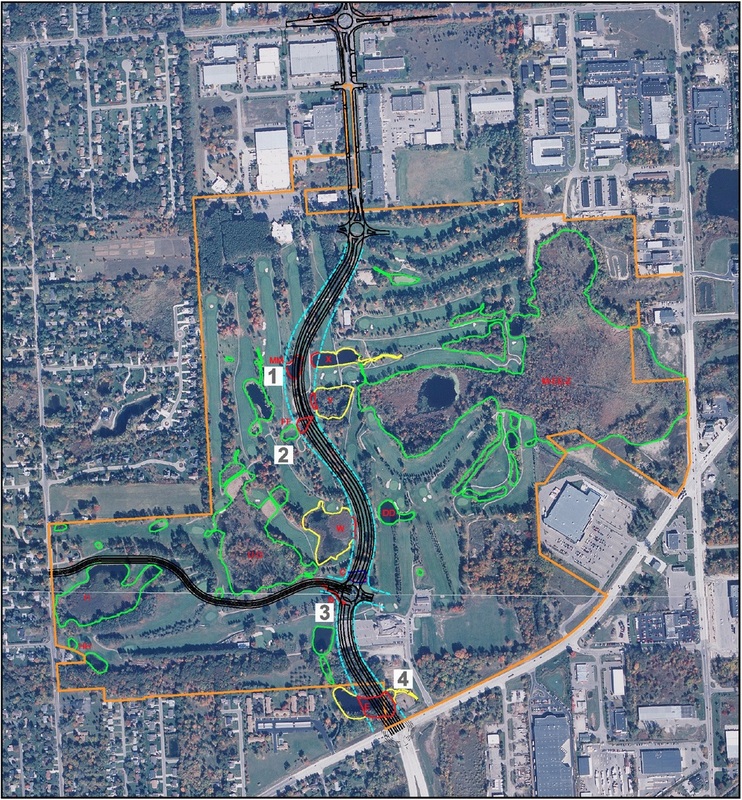 Low design speeds were realized with an alignment of several curves, which also minimized wetland impact. ASTI completed a Water Quality Study of Glengary Creek and Floristic Quality Assessment of natural areas in the one-mile road. Other studies – hydrogeology, wetland functions, contamination assessment, background noise levels, air quality impact, endangered species and Section 106 resources were completed for the EA. ASTI coordinated with U.S.FWS and Michigan DNR for Indiana bat and eastern Massasauga rattlesnake, and SHPO for Section 106 resources. ASTI, Giffels-Webster Engineers, the DDA and RCOC developed the public participation program and public hearing. ASTI responded to comments so that RCOC could apply for a project FONSI.